El mismo te guiará por el proceso de identificar, diseccionar, construir, practicar y aplicar: modulaciones métricas, poliritmos, poliritmos de proporción, división de poliritmos/poliritmos dentro de poliritmos, polimétricas implicitas, polimetricas explícitas, acompañamiento polimétrico e improvisación polimétrica. 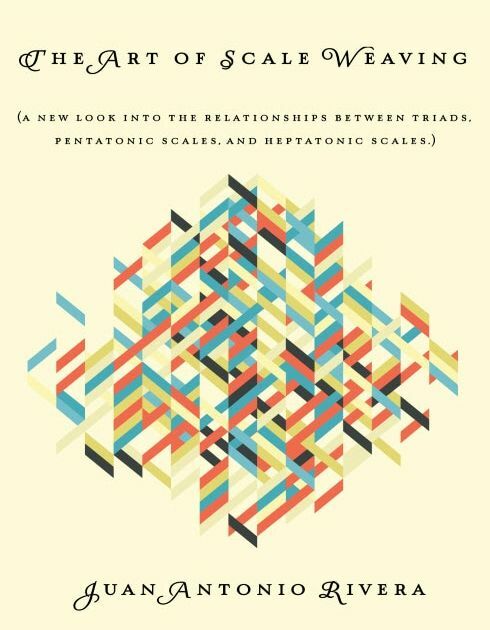 ​Juan Antonio Rivera's "The Art of Scale Weaving" just hit #1 on Amazon's New Releases list for Music Techniques!!! "The Art of Scale Weaving" by Juan Antonio Rivera is now available at Amazon.com! 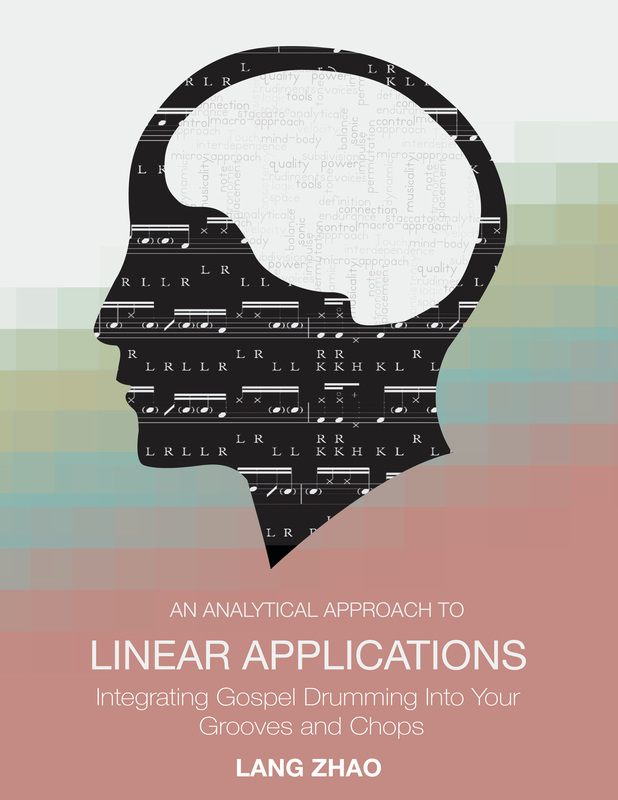 Just released last night, Lang Zhao's "An Analytical Approach to Linear Drumming" has already reached the #1 spot at Amazon's Hot New Releases list for Musical Techniques!!! ​Congratulations Lang Zhao and Henry McDaniel IV who acted as a collaborator and demonstrator for the book's video!!! ​is now available at Amazon.com!!! The book features Henry McDaniel IV, (Stanley Clarke/George Duke band, Big Sean), as a video demonstrator. ​Last publication of the year!!! Lorenzo Ferrero's "Applications of Contemporary Harmony I". ​Read what she had to say in the Reviews section! 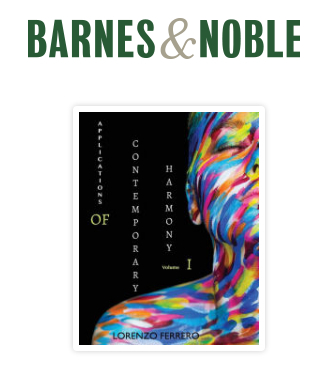 Applications of Contemporary Harmony I by Lorenzo Ferrero is now available at Barnes and Noble. Congratulations to Kaitie Sly, author of the "Beginner Series: Bass Method" (six book series), and Sandesh Nagaraj. 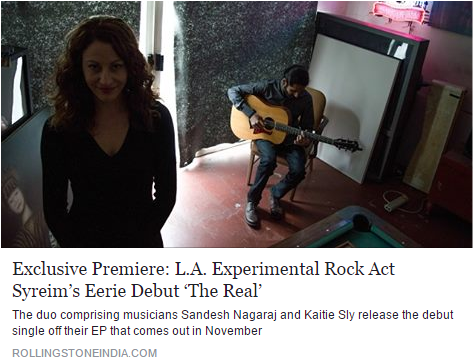 Their duo Syreim just premiered its video on Rolling Stone!!! Henry McDaniel IV (Stanley Clarke/George Duke band, Big Sean/Rihanna Anti World tour), have joined our family. ​Stay tuned for more news on this exciting project! 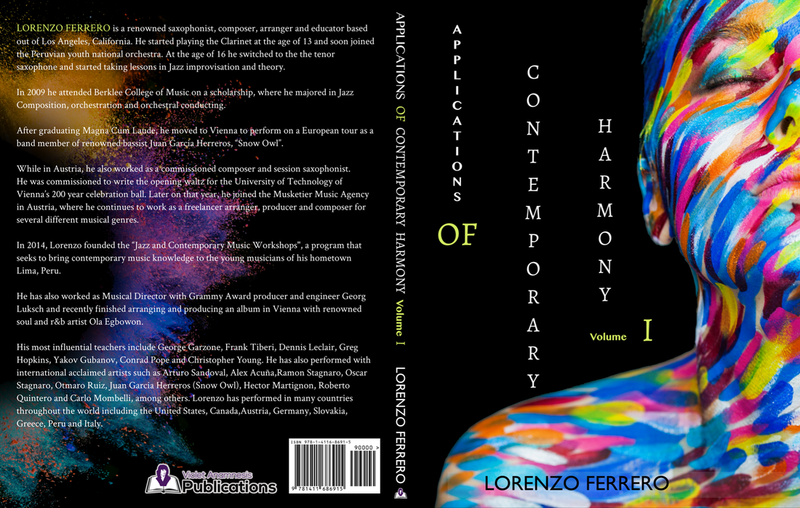 Here is a sneak peek at the cover for Lorenzo Ferrero's "Applications of Contemporary Harmony I"! A compendium of levels IV, V & VI of "The Beginner Series: Bass Method" by Kaitie Sly has just been published. 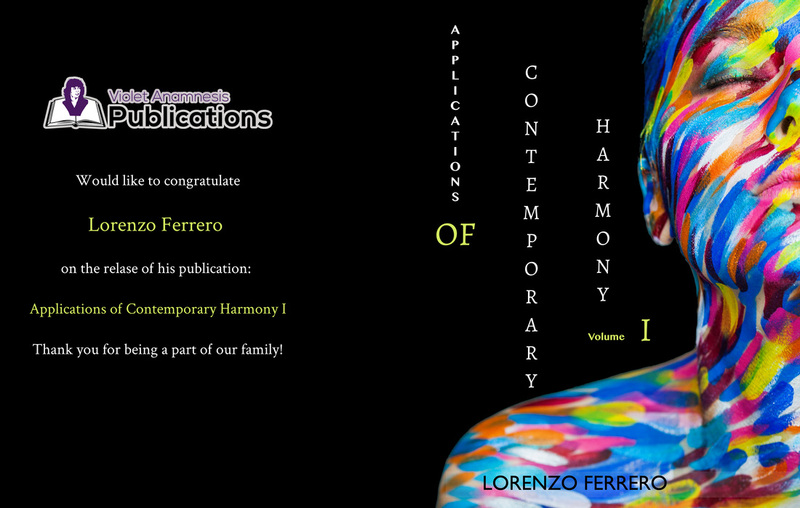 "Applications of Contemporary Harmony I" by Lorenzo Ferrero is scheduled to be released by the end of the month. Level V and VI of Kaitie Sly's "Beginner Series: Bass Method" have been published. Level IV of Kaitie Sly's "Beginner Series: Bass Method" has been published. Level III of Kaitie Sly's "Beginner Series: Bass Method" has been published. Starting today, level I and II of the "Beginner Series: Bass Method" by Kaitie Sly are also available at Bolen Books! At almost 20,000 square feet, Bolen Books is one of the biggest single-location independent bookstores in Canada! Maurice Verloop, (Bass Program Chair at Musicians Institute). reviews the "Beginner Series: Bass Method" by Kaitie Sly. Brian Allen, (Bassist for Robben Ford), reviews the "Beginner Series: Bass Method' by Kaitie Sly. All volumes of the Katsuya Sezaki and Adrian "Hijin" Park Custom Designed, Commissioned Vocals Curricula have been published. The site for the book "Advanced Rhythmic Concepts for Guitar" and its metric modulation calculator have been cited as resources for the Drums and Percussion Composition course; taught to third year students of the Bachelor of Applied Music program at Vancouver Community College. Levels IV, V, and VI of Ray Rojo's "Beginner Series: Drums Method" have been published. Compendiums of levels I-III, as well as levels IV-VI have also been published. Levels I, II and III of Ray Rojo's "Beginner Series: Drums Method" have been published. Levels I and II of Kaitie Sly's "Beginner Series: Bass Method" have been published. All volumes of the Ray Rojo Custom Designed, Commissioned Drums Curriculum have been published. All volumes of the Kaitie Sly Custom Designed, Commissioned Bass Curriculum have been published. All volumes of the Andrew Slade Custom Designed, Commissioned Piano Curriculum have been published. Vintage Guitar Magazine reviews "Advanced Rhythmic Concepts for Guitar". The "Advanced Rhythmic Concepts for Guitar" site has just released the world's first Metric Modulation BPM Calculator app The "Metrilator" app is now available for both the iOS and Android platforms. Abstract Logix rates "Advanced Rhythmic Concepts for Guitar" as 5 out of 5 stars!!! JazzTimes Magazine just reviewed "Advanced Rhythmic Concepts for Guitar" by Jan Rivera. Advanced Rhythmic Concepts for Guitar has reached AbstractLogix.com's Top Sellers List!!! Advanced Rhythmic Concepts for Guitar placed #1 in it's category for best selling books at Amazon.com!!! The book "Advanced Rhythmic Concepts for Guitar; Foreword By Alex Machacek: (An in-depth study on Metric Modulation, Polyrhythms and Polymeters) has been released.